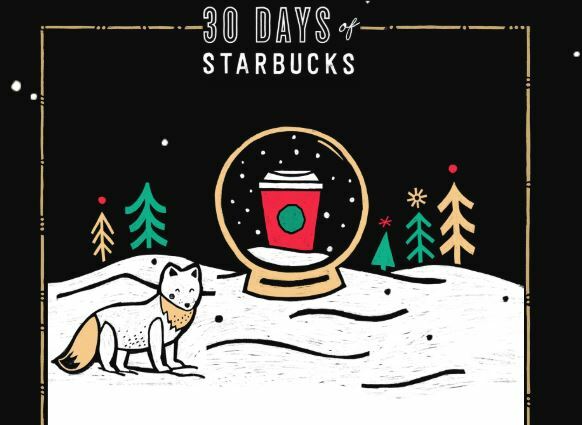 Starting today Starbucks is offering a 30 Days of Starbucks Sweepstakes. Just enter your email address daily and you could win discounts and more. Your daily coupon will be emailed to you. Every day counts — they’ll be announcing winners every week, so keep playing to increase your chances. No purchase necessary. Legal residents of the 50 United States (D.C.) 18 or older. Void where prohibited. Ends 12/31/18. For Official Rules, and complete details, visit 30daysofstarbucks.com. Sponsor: Starbucks Corporation. Limit: Each Entrant may receive 1 Sweepstakes entry and 1 Instant Win Game play per day during the Promotion Period.